ARMAGH will give championship debuts to three players in Sunday’s Ulster Championship quarter-final clash with Tyrone at Omagh. 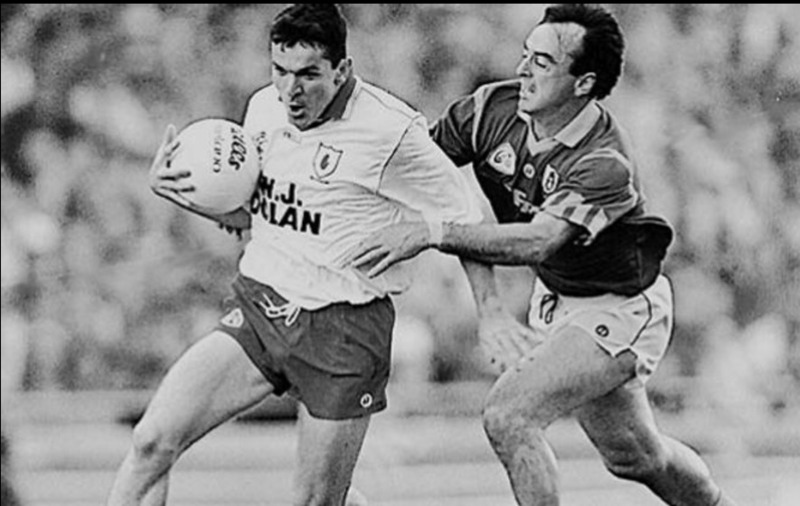 Brian McAlinden and Brian Canavan named their team last night but will wait on the fitness of John Rafferty (thigh) at half-back and Neil Smyth (back) at full-forward before completing their line-up. If Rafferty fails to recover veteran Martin McQuillan will step into at left half-back, while Tony McEntee and Cathal O’Rourke are vying for the full-forward slot. John McEntee has failed to recover from a thumb injury in time and doesn’t even make the bench. 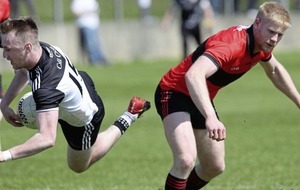 Mullaghbawn’s Enda McNulty gets a debut at corner back along with Tir na nOg’s Andrew McCann in the half-back line. 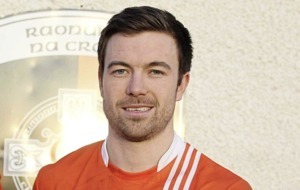 Oisin McConville is the third debutante in the Orchard side, who are the last team to enter the championship fray. McAlinden and Canavan have opted for a surprise midfield pairing with Kieran McGeeney preferred to Paul McGrane alongside Jarlath Burns. Instead McGrane will start on the 40 but may at some stage be switched to renew last season’s centrefield partnership with Burns. Meanwhile, Mattie McGleenan’s wonder goal, which finally killed off the Down challenge in a preliminary round replay, has won the big Eglish man a recall to the Tyrone starting line-up for Sunday’s game. McGleenan comes into the side at right corner-forward for his first championship start in two seasons. There’s disappointment for Pascal Canavan. He was poised to come back into the side after completing a two-month suspension, but he broke a bone in his hand in a club championship game last weekend. 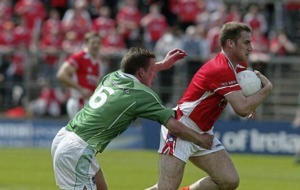 Peter Canavan has been named at corner-forward, but is likely to play in the centre, with Stephen Lawn drifting wide. 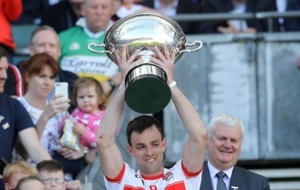 Tyrone: F McConnell, P Devlin, P O’Neill, C Lawn, N Donnelly, F Devlin, S McLaughlin, G Cavlan, E Kilpatrick, A Cush, S McCallan, C McBride, M McGleenan, S Lawn, P Canavan. Armagh: B Tierney, E McNulty, C Hanratty, J McNulty, A McCann, D Horisk, AN Other, J Burns, K McGeeney, M Toye, P McGrane, D Marsden, G Houlahan, AN Other, O McConville. COLIN Montgomerie produced his best-ever round in a major championship yesterday to set the pace at the US Open in Washington. “I’m as happy playing this championship as Tiger Woods is playing the Masters,” beamed the 33-year-old Scot after a five under par 65 gave him an early one-stroke lead over American Hal Sutton. However Dubliners Paul McGinley and Padraig Harrington had a less auspicious start to the evevnt, both returning to the clubhouse with a 75, ten shots behind Montgomerie. McGinley had actually led after five holes with his score of three under, but subsequently faded. 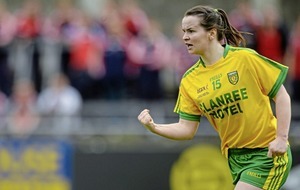 DOWN captain Ross Carr has been signed up by UTV for this weekend’s 90- minute highlights package of The Gaelic Game. 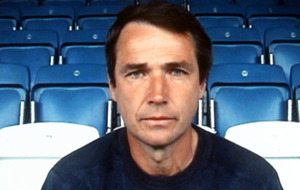 The longest-ever programme by the station on the Championship series, Carr joins Adrian Logan, Brian McEniff and presenter Mark Robson in studio. 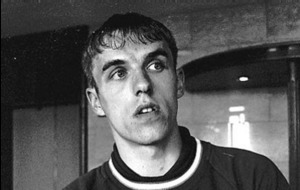 PHIL Neville yesterday kick-started the build-up to the Northern Ireland Milk Cup. 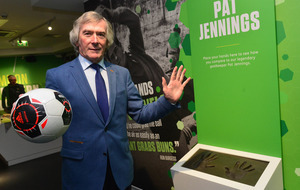 The Manchester United star flew into Belfast just two days after helping England win Le Tournoi in France. Four year’s on, the budding United star was dipping his hand into the Milk Cup draw and plucking out his club! Republic club’s Cherry Orchard and Home Farm, along with Northern Ireland teams County Fermanagh and Dundonald Juniors face United in the competitions U14 and U16 groups.